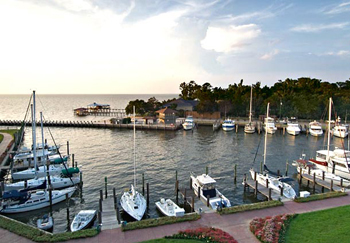 We are a local plumbing, electrical and remodeling service in Point Clear! From as early as the 1800s, wealthy families from Mobile, New Orleans and across the United States chose to spend their summers in Point Clear. In the days of yellow fever outbreaks, Pt. Clear residents believed they were escaping to what was deemed as “good air” because of the daily breeze off Mobile Bay. Arrival to the area was traditionally by ferry boat and most people arrived in Pt. Clear at Zundel’s Wharf. Because of this, the front of the homes (sometimes referred to as cottages) face Mobile Bay and there is a boardwalk between the water and the homes leading to and from Zundel’s Wharf. Remnants of the old pier at the Zundel property were still visible prior to Hurricane Katrina in 2005.